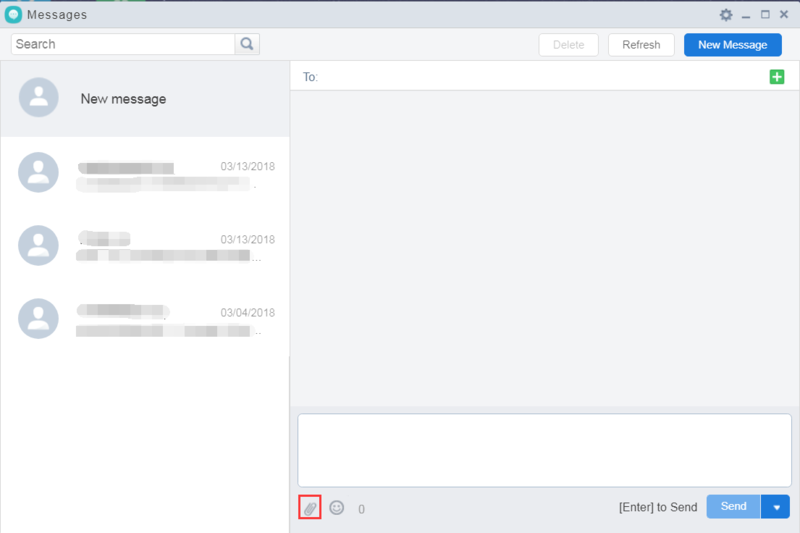 Is there a way to attach files to an SMS from the desktop AirDroid program? I don't see any type of "attachment" button. Re: How to attach files to SMS? We're sorry that so far attach files to SMS is not supported on desktop AirDroid. But you can go to web AirDroid(web.airdroid.com) to use these feature. I would use this feature to forward photos sent from someone using WhatsApp to someone who does not have WhatsApp.